Our farm has been host to school groups of every level for many years. From Pre-K to Post Grad, students make mind-blowing discoveries when they’re guided through the amazing diversity that is Moon In The Pond Farm. 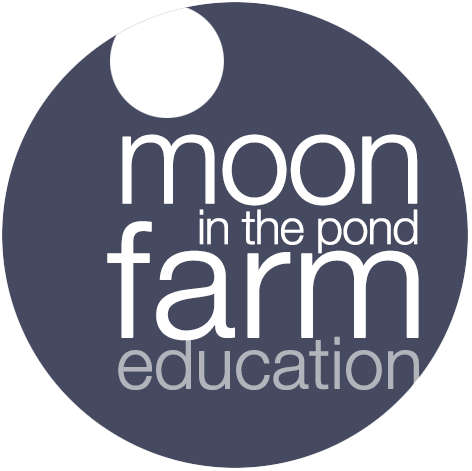 Whether it’s experiencing the resonance of the deep bellow of a cow’s greeting, or the direct observation of the scores of ecotopes that comprise a diverse and ecologically sensitive farming system—it’s awesome to share it with fellow students and the farmer, apprentices and interns at Moon In The Pond. Every visitor leaves a farm tour with a greater understanding of the interdependent relationships our lives depend on and an increased respect for them. From the direct experience of a farm students take into their lives, back to school and home a truer sense of their place in the world, their health and the health of the planet.